One of the things we pride ourselves on is making sure all of our patients understand their options before proceeding with any treatment. Options are discussed with the patient, whether a full-mouth reconstruction or a single dental filling. 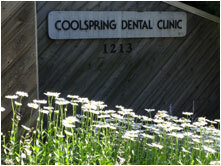 Our periodontal therapy is second to none. We frequently help patients avoid periodontal surgery by providing periodontal disease recognition, treatment and maintenance. 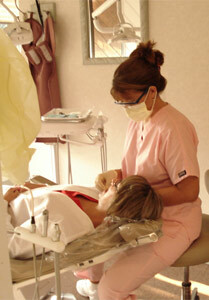 Our gentle caring staff and modern equipment and procedures will ensure you are in the best of dental care. Dr. Eaton and her staff provide treatment that is comprehensive, and always look at the “big picture” before proceeding. Oftentimes, how one tooth is restored will affect further treatment of other teeth. Patient medical history reviews are also of assistance, and are thorough and comprehensive. We contact patients' physicians as necessary to ensure proper protocols are followed with regard to pre-treatment medications, blood thinners or other health and medication issues that may impact treatment. Dr. Eaton believes in proactive dental treatment rather than reactive, whenever possible. Recommendations are based on what is best for the tooth, and the patient. Our treatment philosophy is that it is better to treat a failing restoration sooner – rather than later – to avoid more extensive and expensive dentistry. An intra-oral camera can show the tooth in its present condition and can easily demonstrate cracks, decay or damaged areas of the tooth. The dental materials used in restoring teeth are continuously evaluated and compared to current research to insure the best materials are used. You and your dental health are important to Dr. Eaton and her staff, and we pledge to make your dental care the very best available - always delivered with gentle consideration for you, our patient.